Come and listen to the latest information from medical and environmental health professionals on how buildings in which we live, study and work can affect our health. Learn simple and effective strategies to minimize your exposure to health hazards in the built environment and support your wellbeing. Browse the expo for a wide range of healthy home products recommended by building biologists. Nicole Bijlsma is a building biologist, bestselling author, PhD candidate and CEO of the Australian College of Environmental Studies which she established in 1999 to educate people about the health hazards in the built environment. Nicole is an accomplished naturopath and acupuncturist, has lectured at various tertiary institutions for 30 years, has published in peer reviewed journals, has written extensively for Body+Soul newspaper, is regularly consulted by the media to discuss mould, electromagnetic fields and toxic chemicals, and lectures in Australia and abroad (New Zealand, USA, Thailand) about environmental health issues. She is currently undertaking her PhD investigating health hazards in the built environment. Professor Cohen is a registered medical practitioner with degrees in western medicine, physiology, psychological medicine and biomedical engineering. He is currently Chair of the Australasian Spa and Wellness Association, a Board Member and Past-President (from 2000-2007) of the Australasian Integrative Medicine Association (AIMA), a member of the RACGP-AIMA Joint Working party on Integrative Medicine and a Board Member of the Global Wellness Summit. He also sits on the Editorial Board of a number of international journals. Professor Cohen is a regular media contributor. This includes articles in major Australian newspapers, appearances on ABC Radio National and many regional stations Australia-wide, and television appearances on ABC, SBS, Channel 7 and Channel 9 news, current affairs and lifestyle programs. Lucinda is an experienced Building Biologist and CEO of Eco Health Solutions. With a background in health sciences and education, she has a thorough understanding of ways in which homes and workplaces can adversely affect overall health and vitality. Her own illness due to environmental factors is her catalyst for supporting others in identifying and finding solutions for making healthy living choices. With a passion to make the world a safer place, Lucinda finds great joy in empowering her clients in enhancing their wellbeing by making positive changes to the built environment and in their lives. She is currently the secretary of the Indoor Air Quality Association (Australian Chapter) and is an advisor to the Chemical Free Community. Lucinda is past-president of the Australasian Society of Building Biologists (ASBB) and served the LEAD group both as a committee member and technical advisor. With a focus on education, she is a lecturer at the Australian College of Environmental Studies, created the Environmental Sensitivities Symposium, and is a keynote speaker at international conferences. We are very pleased to announce that Dr Peter Dingle will be the MC for the ASBB conference! Dr Dingle is one of Australia’s leading researchers and educators on the topics of health, wellness and the environment. Dr Dingle has spent the past 30 years researching, writing and speaking about environmental and nutritional toxicology and health. Formerly an associate professor at Murdoch University, Dr Dingle has written more than a 15 books on living well. His honors thesis investigated exposure to and health effects from domestic pesticides and his PhD investigated exposure to and health effects from formaldehyde in the home. Since 1994 Dr Dingle has been active in research on the role of the environment, nutrition and lifestyle contributors to chronic health conditions. Blending motivation and humour, Dr Dingle regularly appears on state and national media. He was the presenter on the award-winning SBS program, ‘Is Your House Killing You?’ and appeared regularly on ABC’s ‘Can We Help?’. Dr Dingle is also the grandfather of the acclaimed ‘Living Smart’ program. With about 100 presentations in Australia and around the world each year Dr Dingle helps cut through medical and health myths to give you the real facts on evidence-based wellness. He presents cutting-edge research findings in an accessible, down-to-earth manner and is known for his straight-shooting style, sense of humour and the occasional magic trick or juggling display. He is passionate about common sense and sustainable health approaches. Dr Ron Ehrlich is the co-founder of Sydney Holistic Dental Centre and has been in private practice in Sydney CBD since 1980. In 1996, Dr Ron gained his fellowship in nutritional and environmental medicine (FACNEM). He has served on the Board and is a former vice-president of the Australasian College of Nutritional and Environmental Medicine (ACNEM). Dr Ron’s new podcast ‘Unstress with Dr Ron Ehrlich’, explores and expands on all topics covered in his book ‘A Life Less Stressed: the 5 pillars of health and wellness’. The podcast takes a deep dive into the stresses in life that can compromise our health, and the pillars of health that can build us back up. Dr Ron’s passion is to convert confusion to clarity and information to knowledge, while empowering individuals to take control, build resilience and be the best you can be. 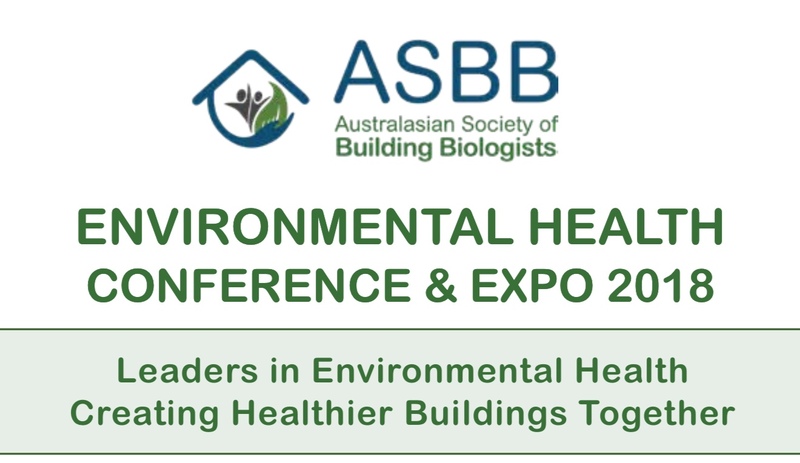 Narelle McDonald is a certified Building Biologist & Feng Shui Consultant, President of the Australasian Society of Building Biologists (ASBB), advisor for the Chemfree Community and founder of Healthy Living Spaces. Narelle loves to work with clients who are building and renovating by incorporating Building Biology principles to create environments that offer occupants a healthy habitat. Narelle’s passion is to provide information, practical solutions and healthy alternatives to empower people to create positive change within their environments to support their physical health and emotional wellbeing. Elizabeth is an activist and a woman of passion. She is the Founder & Vice President of The LEAD (Lead Education and Abatement Design) Group and has been at the forefront of the Lead Advisory Service Australia (LASA) and the Global Lead Advice and Support Service (GLASS) for nearly 30 years. She is the Founding Committee Member of the Australian Dust Removalists Association (ADRA) and Editor-in-Chief of LEAD Action News and founder of Volcano Art Prize (VAP). Elizabeth O’Brien’s unrelenting efforts played a pivotal role in galvanizing government resolve to bring forward by 18 years the banning of leaded petrol in Australia, and to become the first country to ban (by 2010) the addition of lead to all paints and inks, which has undoubtedly significantly reduced the average blood lead levels of Australians of all ages and saved countless IQ points for the children born since her petrol lead reduction campaign started to take effect in September 1993. In 2004, Elizabeth was awarded Outstanding Service to the Environment Award by the United Nations Association of Australia. Dr Yeoh graduated from medicine at the University of London in 1999 and has obtained her membership with the Royal College of Physicians (UK). She has a Masters degree in Nutrition from Kings College London. After practicing hospital medicine, she worked as a physician in the field of Nutritional and Environmental Medicine. She is a member of the American and British Academies of Environmental Medicine where she received her further NEM training. She moved to Australia in 2012 and is now working as a general practitioner at Invitation to Health, where nutritional medicine is integrated with preventive health care and general practice. She has also been dedicated to developing NEM training for the Australasian College of Nutritional and Environmental Medicine and is on the teaching faculty. She has a strong clinical interest in neurological, gastrointestinal and metabolic health. She is passionate about teaching on the interconnectedness of human metabolism, biology and behaviour. The Kerry Packer Education Centre is part of the Royal Prince Alfred (RPA) precinct in Sydney. It’s located at 12A Missenden Road, Camperdown, just behind the RPA entrance.